Quick Tips for that Booming Drum Mix! Drums are some of the oldest instruments ever invented, as percussion instruments normally go. Modern day drums are in stark contrast when compared to their ancestral beginnings and yet with the resources and technology available, there are simple tricks available for you get an extra oomph and punch for that excellent, much-desired drum mix. The ways and means in which you use the three above processors, defines the way your drums sound. Here are a few tips to help with that punchy sound. Tip 1: Use compression steadily. Most drummers don’t usually hit their drums hard, which negates the consistency that listeners seek from that unique sound. A simple work-around is to use compression that’ll help steady each hit on the drum to make them sound similar. Tip 2: Clean up the sound with an equalizer. Three steps. That’s all you’ll need to make a great sound for your drums. Step 1 – Take away the mids. Step 2 – Boost the lows for higher power. Step 3 – Boost the high-mids. Employing a master reverb on the tracks is a surefire way of bringing depth and space to the drum sounds. Tune all of your drums to the same reverb and then use them to balance the amount individually for each drum. A nice drum patch goes a long way in bringing that depth while avoiding any clutter within the mix. Tip 4: Use parallel compression to bring that extra punch to your drums! 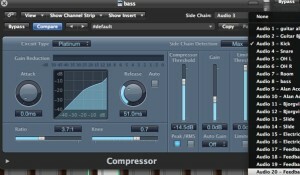 It may sound heady but parallel compression is simply another way of using your compressor. Essentially, you’re creating a better, punchier sub group to mix with your clean drums, rather than connecting it separately with each individual drum track. 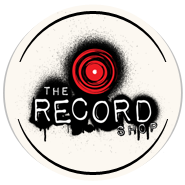 http://therecordshopnashville.com/wp-content/uploads/2018/10/nashville-recording-studio.png 0 0 Editor http://therecordshopnashville.com/wp-content/uploads/2018/10/nashville-recording-studio.png Editor2015-08-26 16:04:432015-08-26 16:04:43Quick Tips for that Booming Drum Mix!